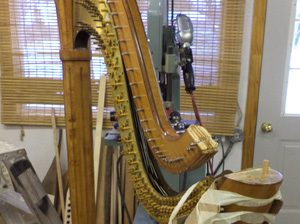 At Stanley&Stanley we have been building harps for over 25 years. Our extensive experience as harp makers provides us with the knowledge and craftmanship required to perform major harp repairs. 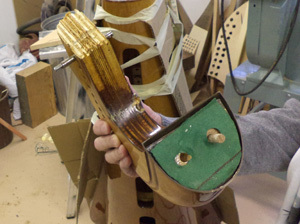 We have replaced many soundboards and repaired many broken harp necks over the years. Lever Regulations are also available. 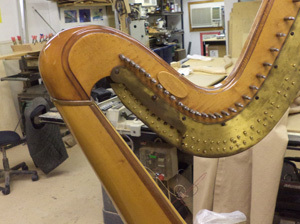 The harp repair video shows examples of recent repairs. Over the years we have also repaired and maintained the musical instruments played by the Fort Henry Guard at Fort Henry, Kingston, Ontario.